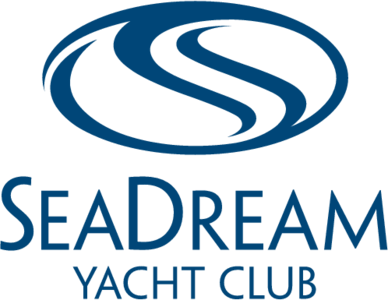 The twin luxury mega-yachts, SeaDream I and SeaDream II, sail to small yachting playgrounds, harbours and ports where the big cruise lines cannot reach, while guests also enjoy ocean view cabins and five star cuisine whilst residing in luxurious surroundings. Teak decks, inviting seating and lounging areas await guests along with all the comforts of home. A holiday aboard SeaDream I and SeaDream II reflects a passion for style, quality and casual perfection. Guests can enjoy open seating dining, both indoors and outdoors, onboard SeaDream I, or choose to take advantage of 24-hour room service and their personal refreshment bar. Indulge in a Signature SeaDream experience with gourmet 5-star dining, prepared à la minute and served al fresco at the Topside Restaurant or in the elegant Dining Salon. SeaDream Yacht Club introduced the first of its kind at sea, a “Raw Food” menu option. “Raw” refers to a style of preparation in which all ingredients are raw, organic and vegan, and nothing is heated above 118°F in order to retain all the healthy micronutrients. SeaDream I includes a small casino, where you can test your luck, a library and boutique shop. Also onboard are computers with internet access. The most fun to be had involves the water sports marina. SeaDream’s Marina is equipped with all of the water sports equipment required for a proper yachtsman’s holiday, including Personal Sailboats, Hobie Cat™ Catamarans, Kayaks, Banana Boat , Tube, Wakeboards & Waterskis, Snorkeling Gear, Floating Island & Trampoline, Stand-up Paddleboards and Wave Runners/Jet Skis. The pool deck transforms into a cinema under the night sky. Relax in a comfortable reclining lounge chair and watch a concert or movie on the outdoor screen. Pillows, blankets, fresh popcorn and bar service make this a movie experience like no other. Enjoy an after dinner drink at the Piano Bar, a relaxed and social area where you enjoy listening to live guitar and piano music. Request your favourite tune and feel free to sing along. The Top of the Yacht Bar is the social heart of Seadream I. Take in the sea breeze and 360° views. Throughout the day and evening, enjoy your favourite drink or request a special SeaDream cocktail from the expert bartenders. Elsewhere on the yacht you can enjoy a yoga session or practise your golf swing on the 30-course golf simulator, play video games with friends or watch the world go by with the ship's binoculars. When in port, you can even take a mountain bike to explore the surrounding area. SeaDream’s Signature Champagne & Caviar Splash™, featured during Caribbean Voyages, is a true celebration of the yachting lifestyle. A gourmet barbecue served on a sandy beach is a celebration of the yachting experience, with caviar and champagne flowing. The SeaDream Spa is the only Thai-certified spa service at sea, offering a range of treatments and massages.